A brilliant Gift for the special star in your life! 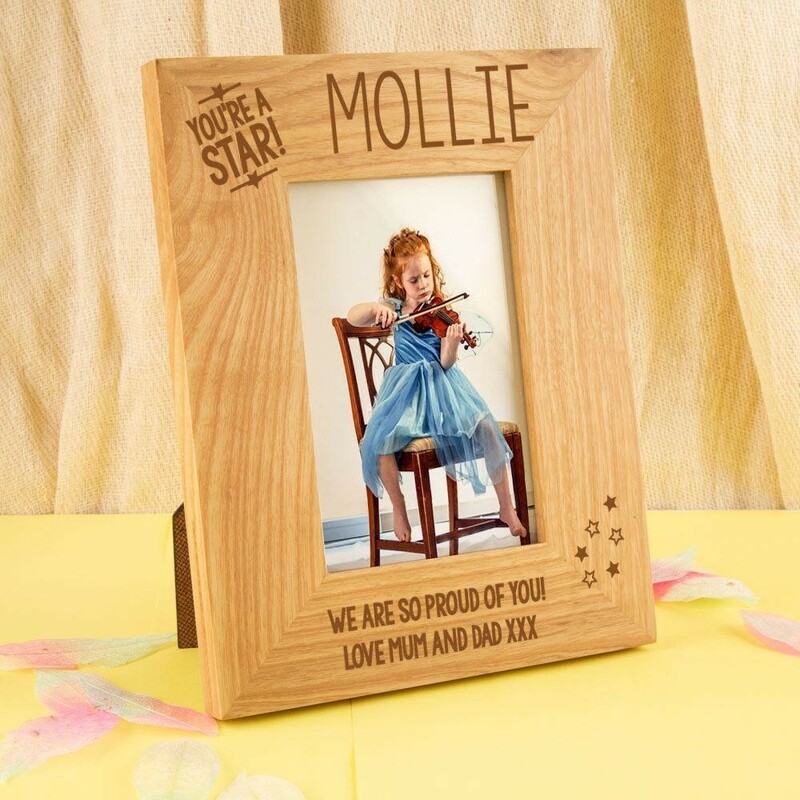 Our oak Hampton photo frame makes a wonderful gift for any occasion – old or young on their birthday, Christmas time, anniversary or graduation. It also makes a wonderful thank you memento. 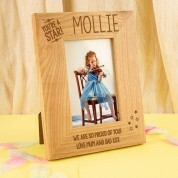 This solid oak frame is laser engraved with “You're A Star!”. It features the recipient's name and a short love from message. It is made complete with a simple star design. 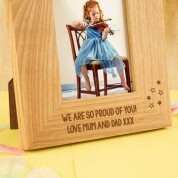 A stylish addition to any home, the frame will stand out with such quality engraving. It is sure to be a conversation starter wherever it is displayed. It will bring a smile to the recipient's face every time they see it! 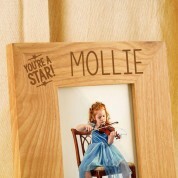 The frame holds a 6x4 inch photo and every frame is unique because of the natural grain of the wood.